Known as the 5-finger scratch tester, this instrument is used to evaluate the scratch and mar resistance of resilient materials. A variable speed, pneumatically driven sledge is moved below five independent, weighted scratch "fingers" that are equipped with interchangeable scratch tips. Includes: spline shaft 'finger' assembly (5); scratch tip with 1.0mm diameter hemisphere (set of 5); mar tip with 7.0mm diameter hemisphere (set of 5); weight set (consisting of 2N; 3N; 4.5N; 5N; 6N; 7N; 10N; 15N; and 20N); and specimen clamp. REQUIRES COMPRESSED AIR. 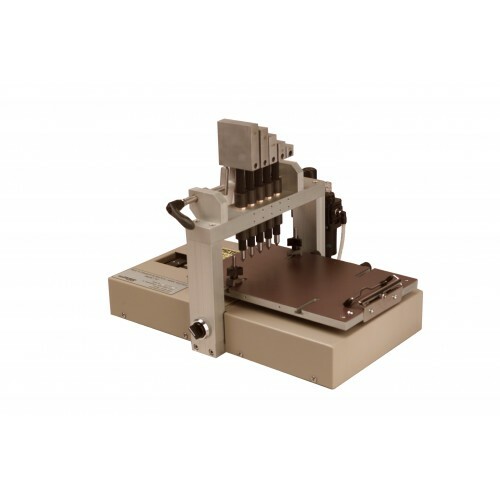 The Multi-Finger Scratch / Mar Tester is used to measure the relative resistance or susceptibility of a material surface to scratching, marring, gouging, scraping, engraving and other similar physical damage not classified as ordinary wear. 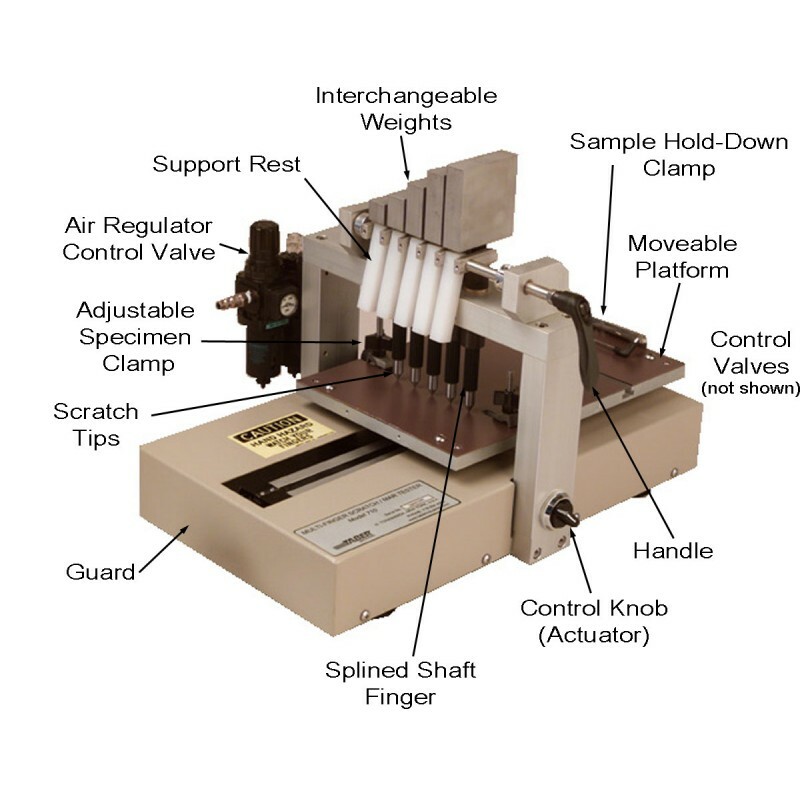 Based on the apparatus described in popular automotive specifications, the instrument is commonly referred to as a five-finger (five-arm) scratch & mar tester and most often used to evaluate plastics.